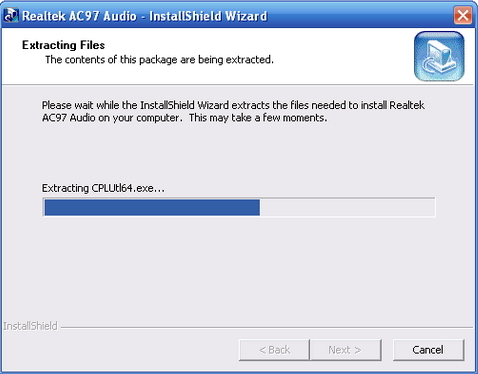 Realtek AC97 Audio – is the sound driver installation package bears the mark of Realtek Semiconductor. Audio Drivers is applied to the built-in AC’97 audio system. AC’97(stands for audio codec ’97) is a standard for audio codecs, that used mainly in system boards, sound cards and modems. AC’97 holds the frequency of sampling of 96 kHz, using 20 digit stereos permissions and 48 kHz, using 20 digit stereos for multichannel reproduction and record. Set of drivers of Realtek needed for normal work of the devices connected to your computer, or, if to say on simple -they give you the opportunity to hear the sound from the computer. If you discovered that on your computer an off-grade sound is produced. Or he is quite absent, then, given your hardware components, you need to find and download Realtek Audio Driver. Realtek AC97 Audio А4.06 is the last official distributive of components of providing of codecs of AC97 for the operating system Windows(2000/ XP/ 2003). ALC201, ALC101, ALC201A, ALC202A, ALC203, ALC250, ALC650, ALC653, ALC655, ALC658, VIA686, ALC850, VIA8233, VIA8233A. Thank you guys for your support ! From Cordoba Argentina..